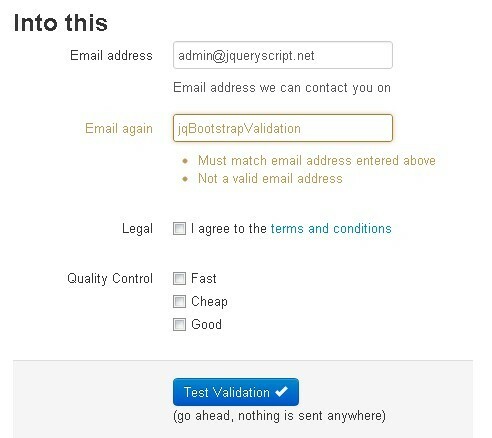 All the Free jQuery Plugins about 'Validation' are listed here. walidate is a powerful and user-friendly jQuery plugin that quickly adds form validation functionalities to your form elements, without changing any existing code of your web page. Creditly.js is a jQuery plugin for creating an input masked form with input validation for your customers that makes it easier to input credit card information. 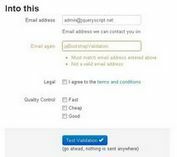 formvalidate is a powerful and useful jQuery plugin that helps validate your HTML forms. passMeter is a jQuery plugin that attaches a simple Password Strength Indicator to the input field for telling the user how good the password is. Verify.js is a highly-customizable jQuery plugin that helps you implement extendable client side validation with asynchronous rules to your form elements. Validatr is a simple, easy-to-use and Cross Browser jQuery plugin for native form validation by using modern HTML5 input attributes. 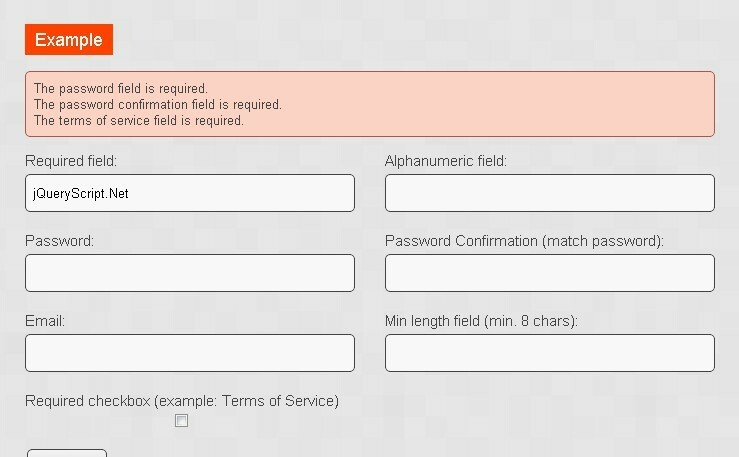 Validation Engine is a jQuery plugin aimed at the validation of form fields in the browser. A simple and easy to use jQuery Form Validation plugin for validating data in HTML forms using HTML5 data- attribute before submitting. 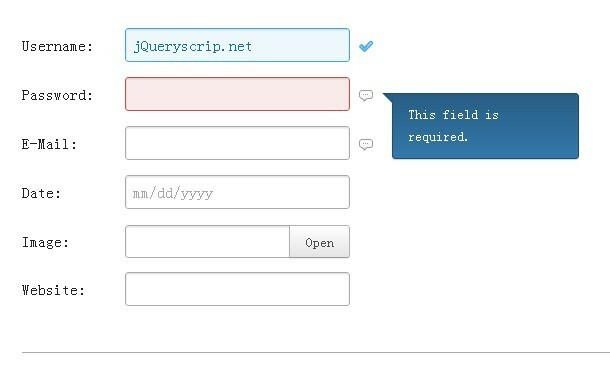 Ideal Forms is a jQuery Form Plugin that helps you to create a full responsive HTML5 forms with validation. A stunning Form Plugin that shows some validation feedback to the user after each step. 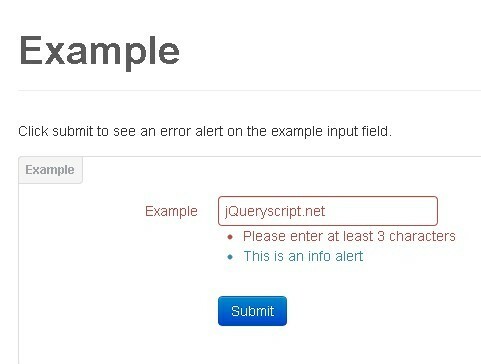 nextVal is a jQuery Form Validation Plugin written by John Norton for creating an easy to use, flexible and robust form with validation.